Here it is. 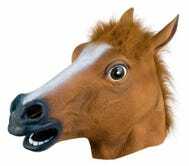 The best product on Amazon. 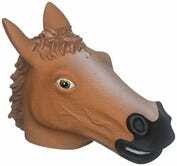 This is a horse head-shaped squirrel feeder that hangs from a tree branch. 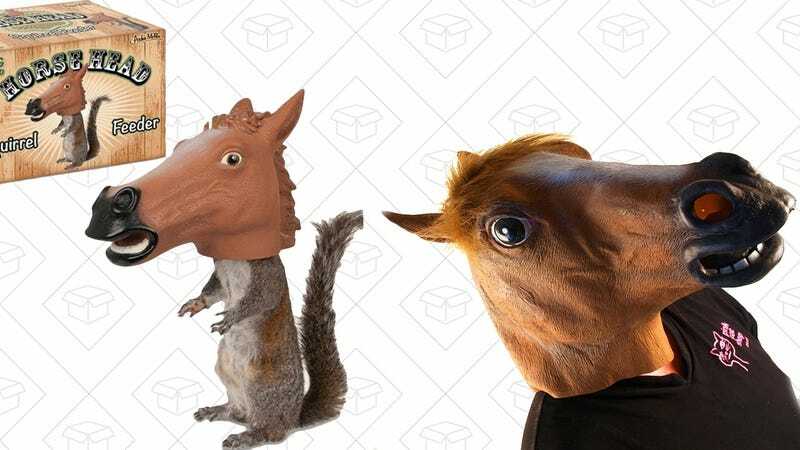 To get to the food, a squirrel has to stand on its hind legs and put its head inside the horse, which the Amazon product description claims “causes much hilarity.” Understatement of the century, if you ask me. $10 is the lowest price ever, and kind of insane considering this product is clearly worth hundreds, maybe thousands of dollars. Update: The human version is also on sale for $8, an all-time low. What a day!